Tesla Motors has introduced its ‘destination charging’ program into Australia, with over 10 sites established. Model S owners who frequent longer trips will benefit from the destination charging program, where owners can charge at no cost. Tesla destination charging program provides ‘high power wall units’ at key destinations for Model S owners to charge while away from home for long periods. The wall units can provide as much as 40 amp of power to Model S and are also provided with Model S for home installation, making the device familiar to owners. With up to 500 km of rated range, the majority of charging with Model S is done at the home, but now the destination charging will provide locations where there are longer or overnight stops. Locations include key hotels such as Park Hyatt Sydney, The Darling, Hotel Realm Canberra, The Observatory in Port Macquarie and to fulfil the winter snow travelers Rundells Alpine Lodge Dinner Plain. 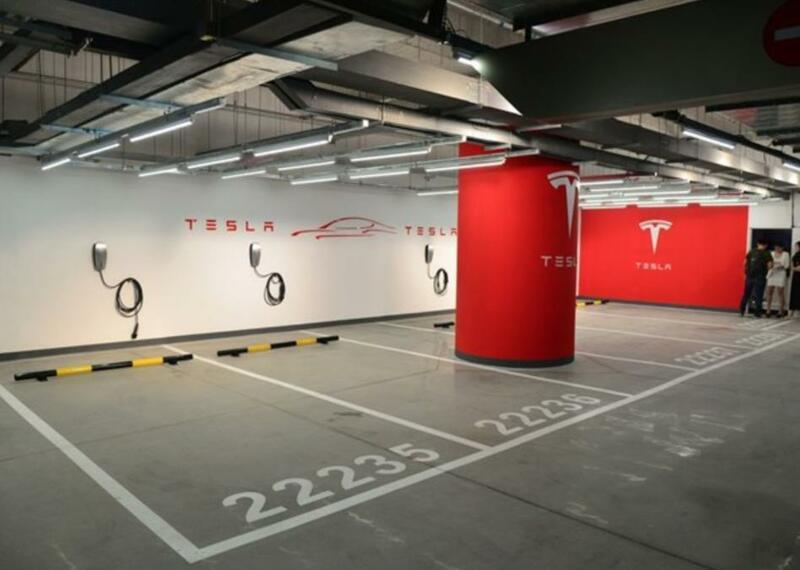 In addition, key shopping centres such as Westfield Chatswood and Chadstone have been utilised, with premium parking locations and wall units available to Model S owners. Tesla Motors has also partnered with Secure Parking to enable a safe location for Model S owners to park and charge whilst at work or out in town. These locations are located across Brisbane, Sydney and Melbourne. “This expanding network of destination charging is a great replication of the convenience our owners receive when charging at home. Along with the developing Supercharger network, our owners will be able to cover long distances with the knowledge they have a charging solution,” says Australian Tesla spokesperson, Heath Walker.